Hey guys! If you're interested in makeup, you're probably on the hunt for the perfect foundation or the perfect lipstick (or both). I may have just found my perfect lipstick. That is, the perfect brand and type of lipstick, not necessarily the shade. Ok well, I may have one minor thing that I dislike about it but otherwise it's perfect! 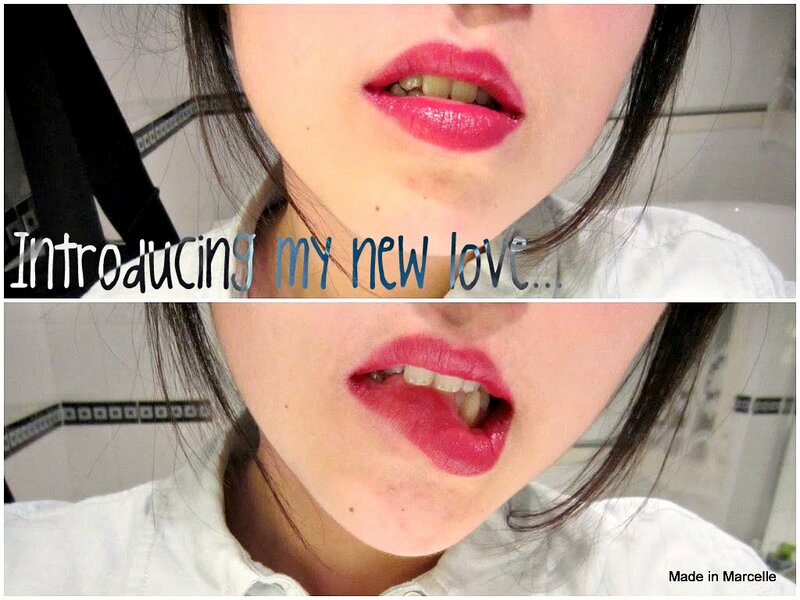 You're probably eagerly anticipating what this amazing lipstick is. I shall save you from your suffering then! 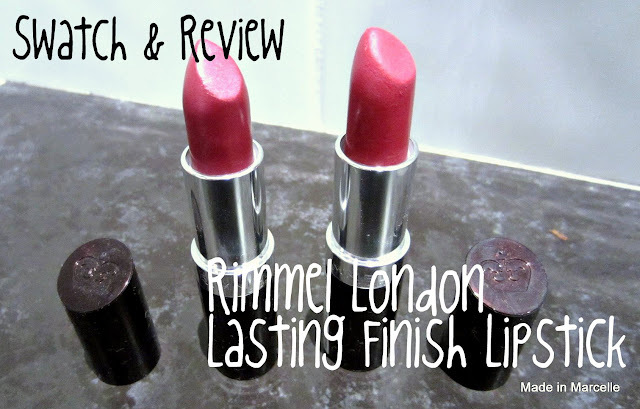 They are none other than the Rimmel London's Lasting Finish Lipsticks. These are my first ever Rimmel lipsticks and they retail for $9.95 AUD which is oh-so-affordable here in Australia considering how expensive other lipsticks are here. I purchased these about two months ago, but there is currently a 50% off sale going on at Chemist Warehouse for all Rimmel, Revlon, Maybelline, and Sally Hansen products!! I purchased shades 084 Amethyst Shimmer & 016 Heart Breaker (just had to get this one for its name ;)). I have not been using them at all because I was into my Revlon Lip Butters too much. I purchased these after Suzi (www.stylesuzi.com) recommended them in one of her videos. And when I got to finally try them, I FELL IN LOVE. Wearing Heart Breaker and loving it! Ironically enough, Heart Breaker instantly stole my heart and I ain't ashamed of it. Not so much in love with Amethyst Shimmer though. 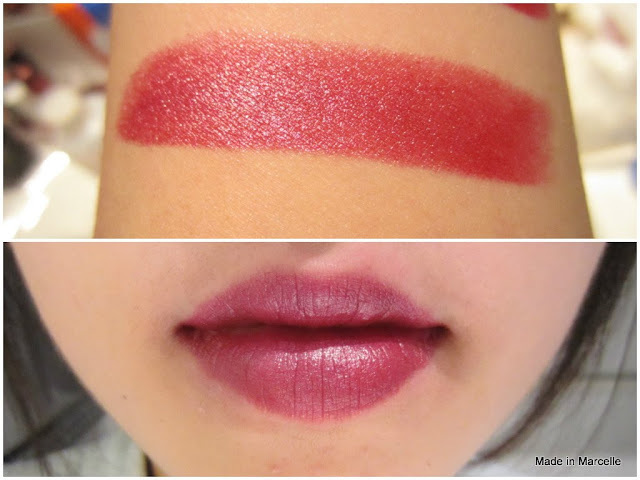 Once you look at the swatches and read along, you'll find out why I love Heart Breaker. Left is Amethyst Shimmer and right is Heart Breaker. First up is Amethyst Shimmer. Amethyst Shimmer has a shimmery dark rose tone. I find this shade to be way too mature for my likings. It applies smoothly and colour pay off is great. Just not too keen on wearing this one. I find it too shimmery & mature for me...I'm not too sure why I purchased this one anymore haha. You can see my full face view here. Next up is my favourite, Heart Breaker. This.Is.Amazing (just sayin'). The colour pay off, creaminess, ease of application, comfort, and price is all top notch. It does not dry out my lips and my lips feel so comfortable after wearing this. 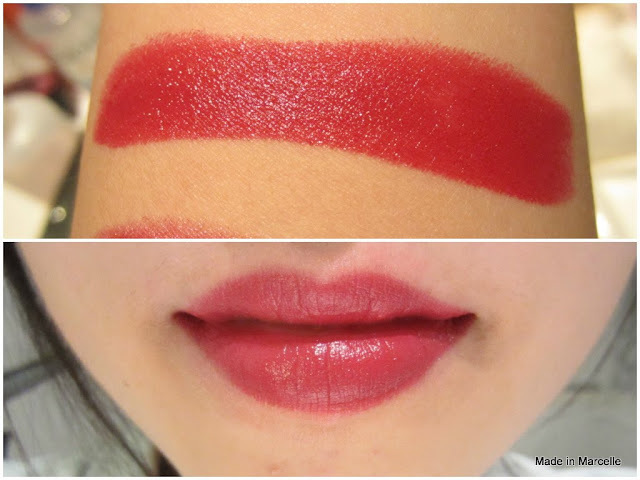 It applies smoothly and it's the perfect rosey-red shade for me. Here's a full face view with Heart Breaker. Who would I recommend this to? To anyone looking for an affordable, long-lasting lipstick. Lasting power? It lasts around 4-5 hours without eating, and 3 hours when eating. Even after I ate, I noticed I still had some stain of the lipstick left. Pigmentation? The colour is so vibrant and the lipstick is very pigmented. Only one swatch and you're ready to go! Repurchase? Definitely. But perhaps in different shades. Do you own any Rimmel lipsticks and what are your thoughts on them? Aw, these lipsticks look so pretty on you! Heartbreaker has to be my fave too! I love the Kate Moss lipsticks, they are long wearing and have great pigmentation, and they don't dry out your lips! Win! Heartbreaker looks great :) I have one in 'Cutting Edge' perfect for a vampy lip. Love the formula! I had to google to see the shade haha and it looks gorgeous. Ahh so many options! Aww thank you :) it definitely caught my heart! Wow, the lipsticks look amazing. Both of the colours you picked out look great on you! I'm so tempted to try them out now! Aww thank you :) You should definitely try them out! Especially with the crazy sale going on at the moment.